If you enjoy the pictures on this page, you can find more of them in the picture galleries. What's YOUR single best Kenya travel tip? Share your secret with us! 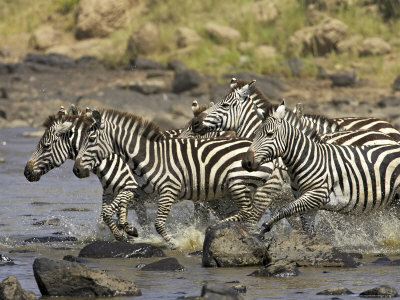 For many the safari is the main reason for coming to Kenya. Kenya enjoys the reputation of being the safari country of Africa, and indeed – the enormous variety of landscapes and wildlife between the national parks make it a very attractive safari country. 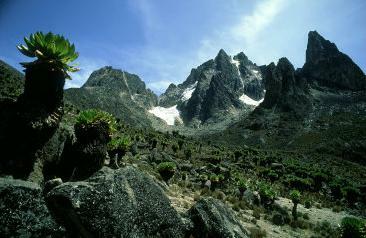 Read more Kenya travel tips at the national parks overview page. 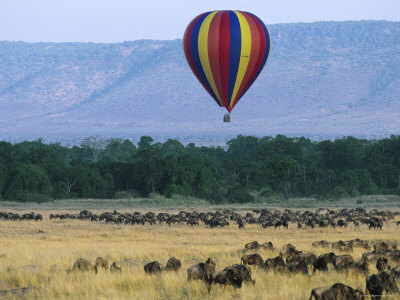 Each year between July and October, the famous Wildebeest migration takes place from Tanzania to Kenya. It has been called the greatest wildlife show on earth. 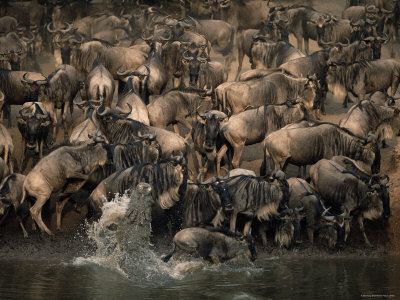 Each year, always on a different moment, hundreds of thousands of wildebeests suddenly gather at the Serengeti plains to trek to greener places. After making a big circle through Tanzania and Kenya, they come back to the Serengeti plains again. At the point where they have to cross the Grumeti River, there are camps from where you can watch this extraordinary phenomenon. Check out this great Wildebeest Migration movie at my movie gallery. A number of tribes in Kenya still live more or less the same as their ancestors have done for thousands of years. The Masai are the most famous of them. Nowadays they earn some extra cash through receiving tourists for a 'cultural' visit. 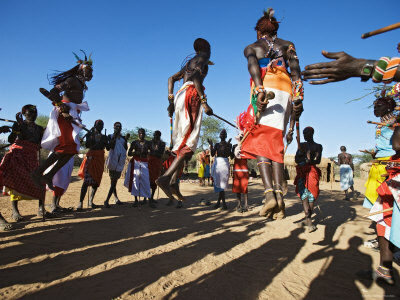 You get to meet the eldermen who explain their way of life, have a cup of chai, perform traditional dances, etcetera. 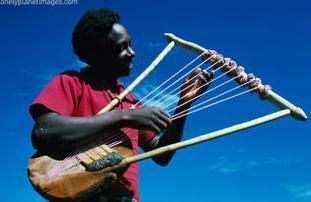 The few Masai who speak English will function as an interpreter. Just be aware - while these visits can be very interesting, they've also be known to turn into 'cash cow' events. Tourists have to pay anyway for the visit, but they may also be pressured to buy goods, etcetera. The coast region stands apart within Kenya. This is where the vibrant mix between African, Arabic and Indian influences has created the famous Swahili culture. Swahili has become the lingua franca in all of East Africa. 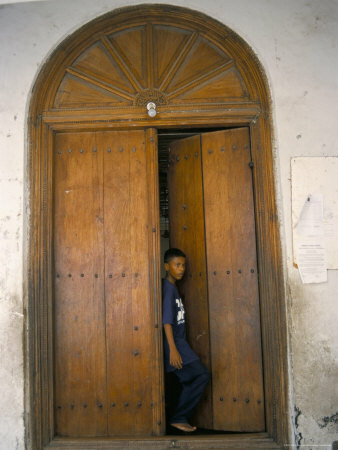 Places to visit are the island city of Lamu and the harbour city of Mombasa, where Fort Jesus - built in the 16th century by the Portugese - gives an insight into colonial times. Oh, and don't forget the coast has over 500 kilometres of beautiful white sand beaches, often with private Hawaii-style resorts where you can have dinner in the open air with a Bacardi coke while looking over the Indian Ocean... Find more Kenya travel tips at the travel stories archive. Going over one of the national parks is very different in an air balloon! It's a very special experience to flow over the country and have a 360 degrees view over all the wild animals walking beneath you. Alhtough they are advertised as "balloon safaris", they aren't really full safaris. Trips typically start at dawn and take a few hours, after which there's a champagne breakfast on the ground. They can be arranged through many top end lodges. The price is around 400 dollars. Going to the almost vertical top (Batian, 5199 metres) is only for trained and fully equiped climbers. But anyone who is reasonably fit can take tracks that go up to 4000 metres, or even higher. Be aware that above 4000 metres it's not tropical anymore, but freezing cold, foggy and windy... Hiring guides is usually pretty expensive. Making a sailing trip along the coast in a traditional dhow vessels is a great experience. 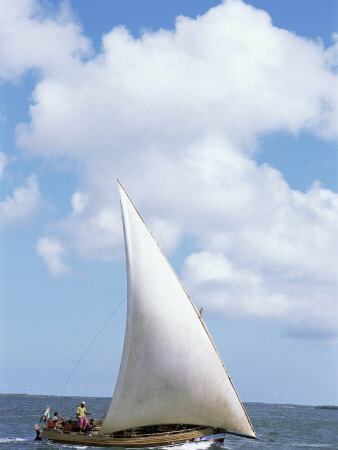 Dhows were used by Arab traders to frequent East Africa from the 8th century on, and are still fully in use today. Both cheaper, more basic and luxurious trips are available. People usually sleep on the ships and seafood is caught fresh every day. Many dhows leave from Lamu. The bigger boats also have motors while the smaller boats rely on the wind only. The diving and snorkeling possibilities of (for example) Watamu National Park along the coast are highly rated, even by professional standards. The reef is in excellent condition and there are big numbers of extremely exotic fish, in every shape and colour conceivable. Harmless whale sharks also visit the are regularly, a highlight for any diver. 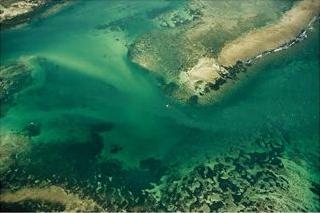 The waters are totally excluded for fishers. 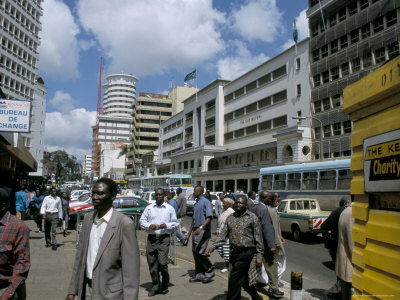 'Big Bad Nairoby' – the hub to East Africa - doesn't have the best reputation in the world, but it's in a class by itself. Delve into the city's night life in one of the many nightclubs crowded with hustlers, hookers, expats and adventurers. Next morning around noon, take a lunch at Simmers with the Daily Nation. Then take a matatu (overcrowded public-private minibuses) for 40 dollar cents to the Masai Market and the National Museum of Nairobi, where some of the oldest remains of human's ancestors – Kenya has been called the 'Cradle of Mankind' – are on display. And Nairobi National Park, with many wild animals, is right outside the city. More Kenya travel tips about this at the Nairobi National Park page. 10 – AND SIMPLY... EXPERIENCE AFRICA! I personally have the best memories not of the safaris or the visit to a tribal village or the white sand beaches (though they were all great), but simply of taking matatus somewhere... drinking beer with young Kenyans and talking about how they see the world... buying my groceries... at the end of the day, those are my real Kenya travel tips. What's YOUR best Kenya travel tip? Did you come accross a particularly nice place, a great activity, a great hotel or restaurant, or any other special thing in Kenya? Tell us about it! My best Kenya tip: Always bring bug spray because there are tones of bugs! Spend a day at a children's charity in Kenya!